With two contemporary art fairs – Art Toronto and Feature – open to the public this weekend, Toronto is saturated with great art for viewing and buying. Here’s what we saw and loved. Art Toronto, the city’s annual international fair, is now underway at the Metro Toronto Convention Centre. 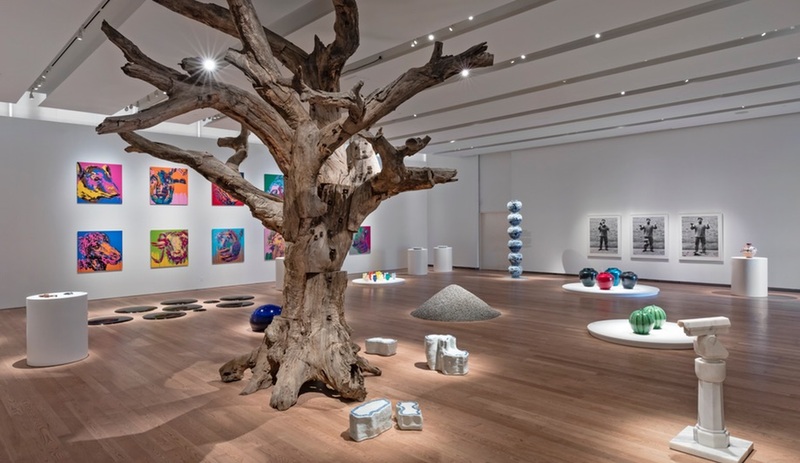 It is bursting with dealers from such top galleries as Nicholas Metivier, O’Born Contemporary and LE Gallery, along with dozens of contemporary art galleries based out of London, New York, Tel Aviv and Ebeltoft, Denmark, among other cultural hubs. This year, however, Art Toronto has a competitor in its midst – the newly minted, off-site art fair called Feature, organized by the Contemporary Art Galleries Association. The fair brings together 23 dealers inside the Joey and Toby Tanenbaum Opera Centre at 227 Front Street East, an historic red-brick building that fills one city block and is best known as the rehearsal space for Toronto’s opera company. Editors Eric Murtie and Catherine Osborne walked the aisles of both shows on their opening nights. Here are their top picks. 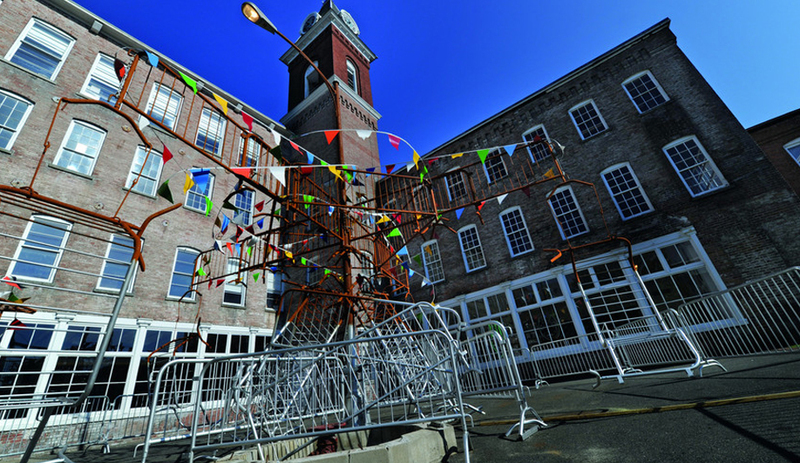 This colourful kinetic sculpture is triggered by a motion detector. 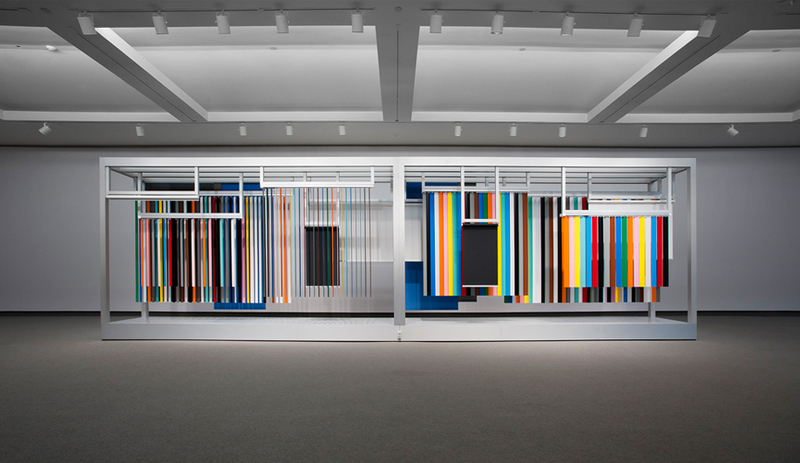 Hung from an aluminum frame, window blinds in bright hues are animated by passersby, and look as though an abstract painting is being brought to life. Shades retract and blinds spin around, shifting through a variety of different compositions of colours, lines and shapes. On view at Art Toronto. 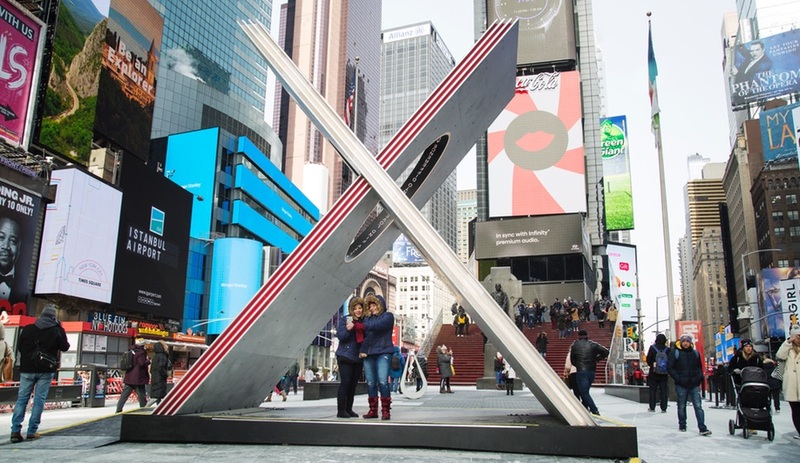 Quebec trio BGL originally created Canada de Fantaisie/Canada Fancy for Calgary’s Nuit Blanche in 2012, and reassembled it here as Art Toronto’s featured exhibit. 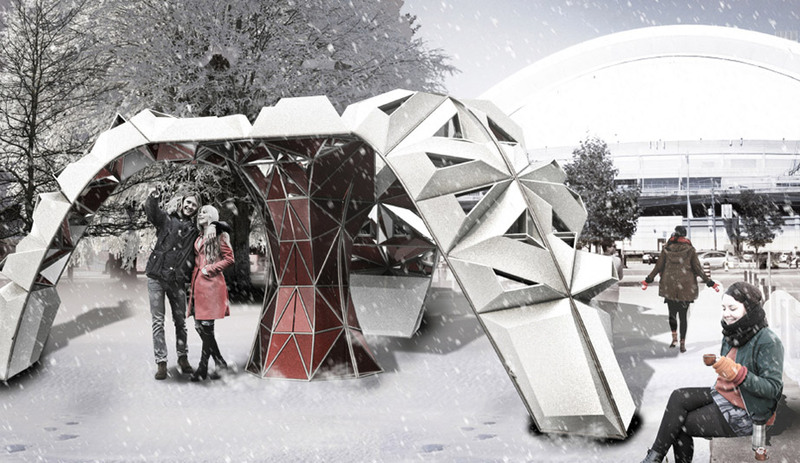 Steel fences – most often used by police officers and security guards to block access to an area – become the bones of an inviting urban merry-go-round. Strong-armed athletes push seated visitors around in circles, delivering a dazzling, 360-degree view of the art-packed exhibition hall. 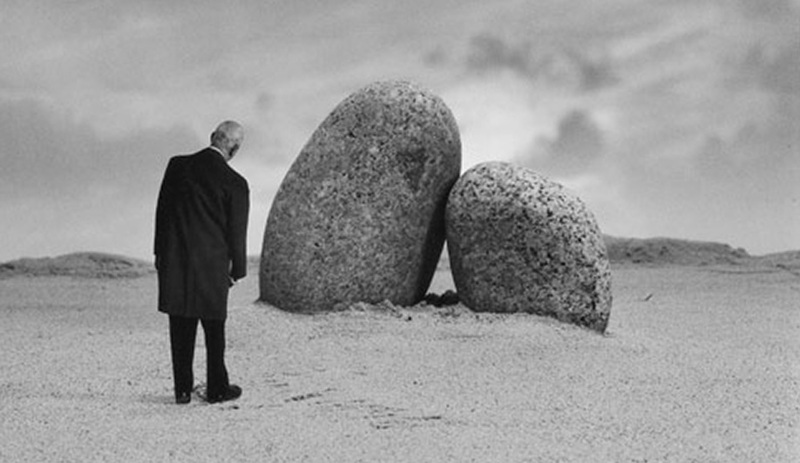 French artist Gilbert Garcin started his photography career at age 65 after working at a lamp factory for most of his life. His montage-based, black-and-white self-portraits (which occasionally include his wife) exude a Hitchcockian mood. One blogger described his surreal photographs as “warmly highlighting cold, existential questions.” On view at the Stephen Bulger Gallery booth at Feature Art Fair. 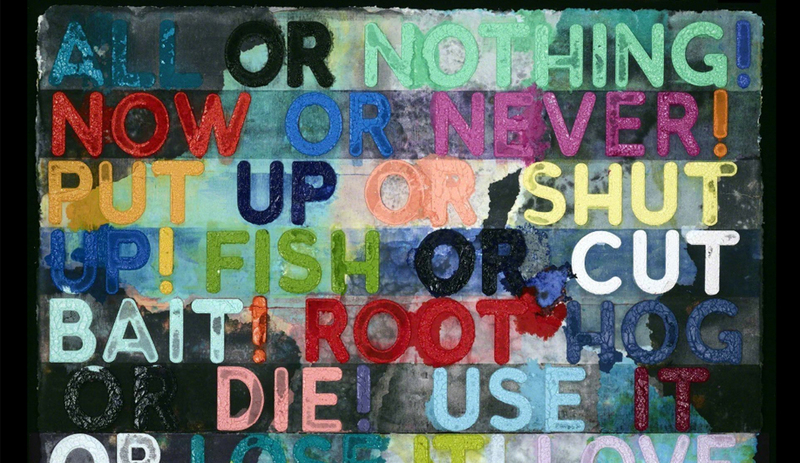 Local artist Tony Romano is one of those rare talents who can work with poetic fluidity in almost any medium, including music, video, sculpture and works of paper. He is also co-editor of the art and culture magazine Millions, published three times a year. The Tear At The Party, made of wood, granite, metal and cast aluminum, is on view at the Clint Roenisch Gallery at Feature Art Fair. 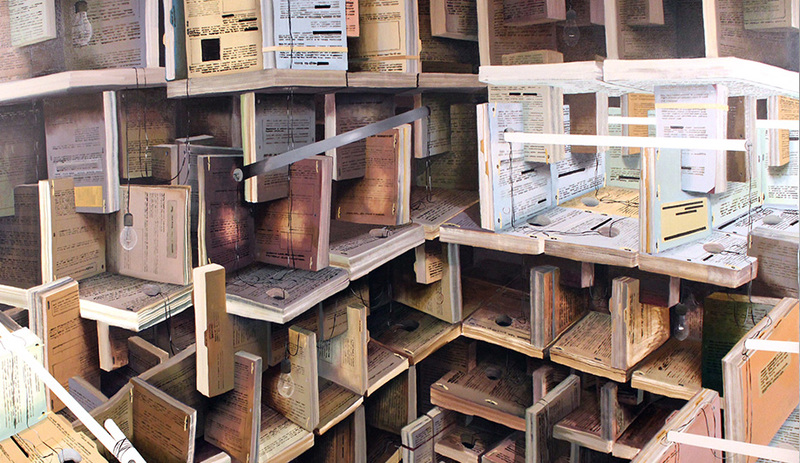 The Equinox Gallery booth at the Feature Art Fair is showing L.A. artist Etienne Zack’s large-scale paintings of fantastical spaces constructed from hardcover books that seem linked to create a makeshift fort – with the odd fluorescent tube dangling inside. One might be tempted to believe the paintings – with names like Sincerely Yours, Officially, and Adamantly – depict an actual sculpture. 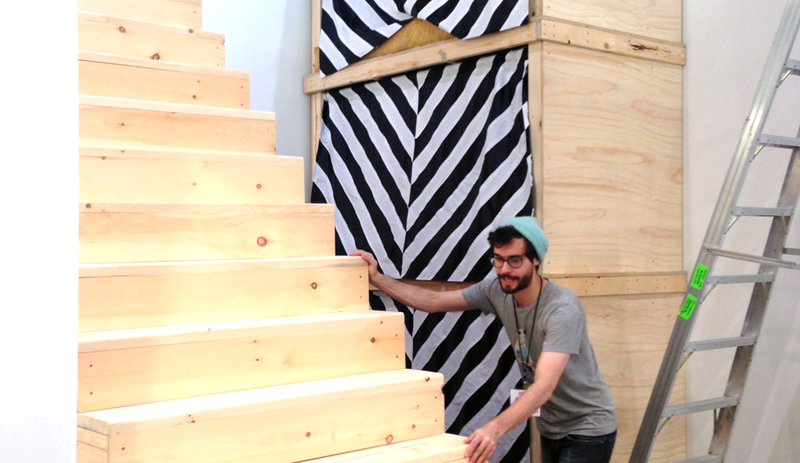 But Zach builds his book tower on the canvas, constructing it in paint strokes as he goes. 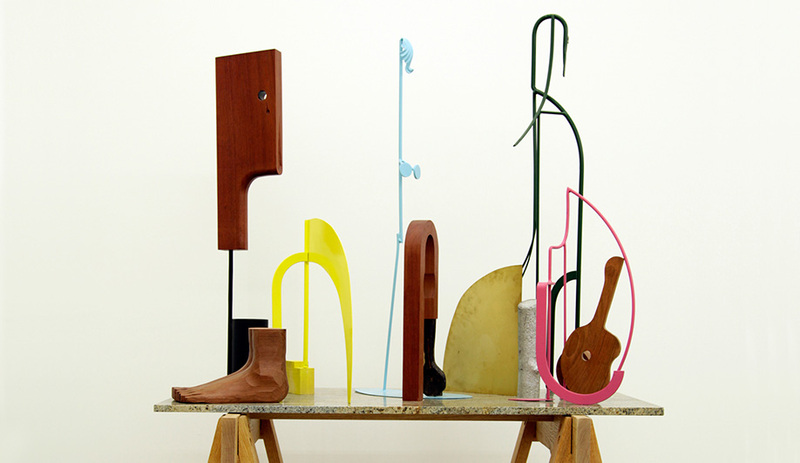 Matt Donovan’s 2011 show at Olga Korper Gallery, done in collaboration with Hallie Siegel, depicted the boyhood of a Pinocchio-like wooden doll. 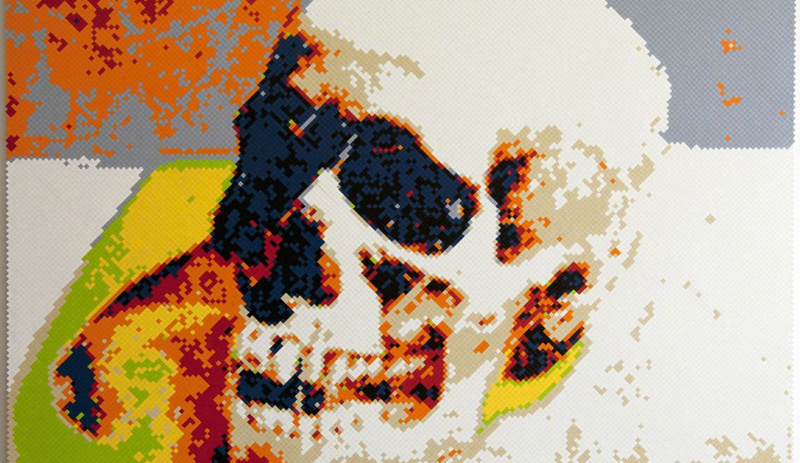 For his latest, displayed at Art Toronto, the Toronto artist and industrial designer turns to childhood toys once again, creating a vibrant skull mosaic made of nearly 40,000 LEGO pieces. 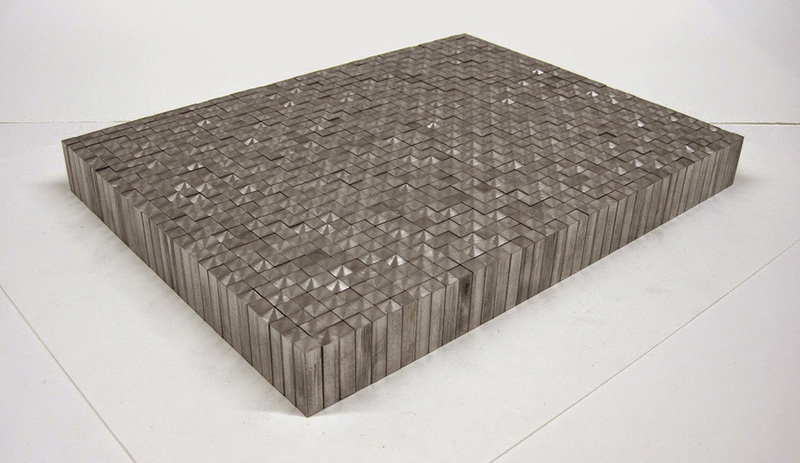 Resting on a small white plinth at Galerie Antoine Ertaskiran at Feature Art Fair is one of Ken Nicol’s intriguing sculptures comprised of 1,200 precisely cut blocks of steel, each one-inch in height and lined up in a tight grid (though not glued together, so don’t touch it, as we can attest, or the formation will tumble.) The piece is one among a small grouping of works by Nicol, all based on compulsive repetition and in seeing universes within details. On view at Birch Contemporary at Feature Art Fair are the striking monochrome photographs of James Nizam. 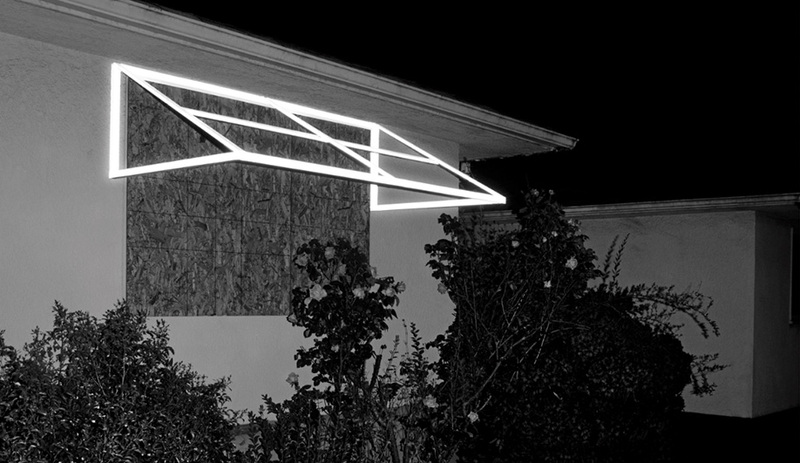 The artist wrapped elements of suburban bungalow homes – a rod-iron porch, a metal awning – in Scotchlite tape and then photographed his intervention using a flash. For those who find navigating the Art Toronto fair at the Metro Convention Centre downright exhausting, Toronto collective VSVSVS offers onsite accommodations. Nap Station consists of three curtained, bunk bed-style sleeping pods. A set of wooden stairs leads to the upper bunks. 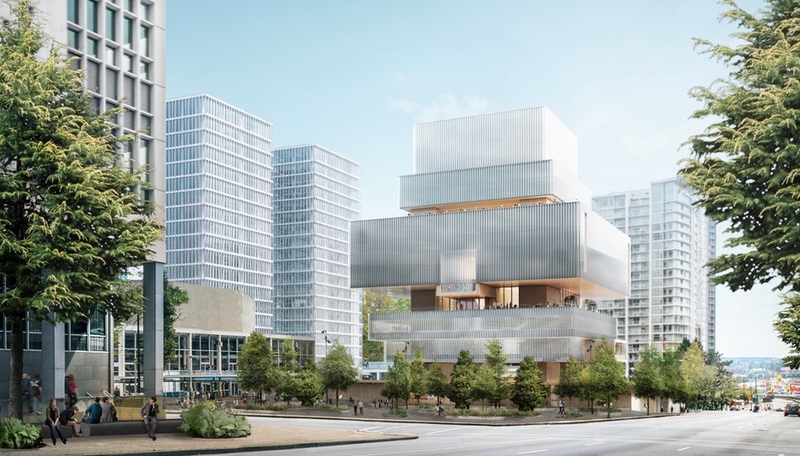 The top unit includes a small window with a spectacular view of the centre – enough to energize anyone to get back to browsing.